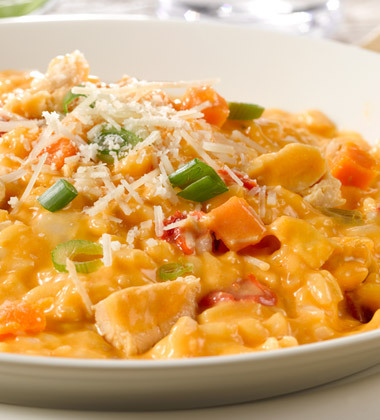 Made with Campbells® Signature Buffalo Style Chicken with Blue Cheese soup, this risotto-with-a-kick is great as an appetizer or a side dish. 1. 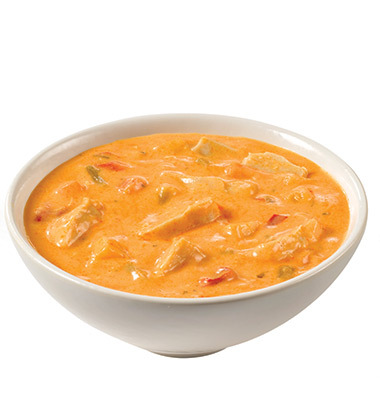 Defrost Campbells® Signature Buffalo Style Chicken with Blue Cheese soup according to directions. 2. Top pot with strainer. Pour thawed soup into strainer. Reserve the internal garnish of the soup. 3. In a saucepan, add olive oil. Warm over medium heat. 4. Add onions. Sweat them, until translucent. 5. Add Arborio rice. Continue to stir until toasted, not browned. 6. Add 1/3 of the strained soup. Stirring until the rice is absorbed the soup. 7. Add the remaining soup in two more additions, stirring constantly. 8. 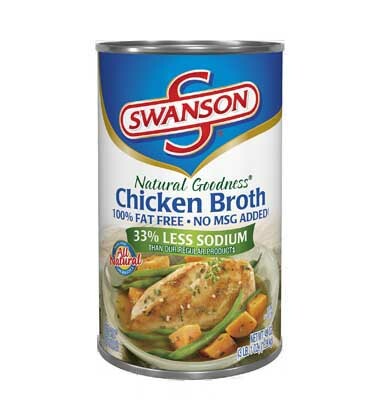 Stir in Swanson® Chicken stock. Cook until rice is al dente. 10. To serve, portion 1/2 cup (#8) scoop onto plate. Serve immediately. Add in more chicken if you’re making this an appetizer or entree. Using leftover chicken from the night before is a great option. Herbs add more color.